Recently, the importance of Magna Carta has been mentioned in the Senate by Senator David Leyonhjelm, and the Committee’s work noted by Dr Rosemary Laing, Clerk of the Senate. The full transcript can be found here: Commonwealth, Parliamentary Debates, Senate, 23 February 2015, 11, (Rosemary Laing). Senator David Leyonhjelm has also spoken about the Magna Carta in the Senate. Senator Leyonhjelm reiterated the importance of the Magna Carta in establishing the presumption of innocence, and the importance of Magna Carta in creating liberal democratic heritage enjoyed by Australians today. The full transcript can be found here: Commonwealth, Parliamentary Debates, Senate, 12 February 2015, 111-112, (David Leyonhjelm). “There was a time when women could be accused of witchcraft. All it took was an accusation. Any women accused had to prove their innocence. They did this with a ducking stool. Ducking was seen as a foolproof way to establish whether a woman was a witch. It comprised a chair hung from the end of a free-moving arm. The woman was strapped into the chair, which was beside the river. The woman could then be lowered into the water until submerged. The duration of immersion was determined both by the operator and by the seriousness of the crime of which she was accused. It could last for just a few seconds, but, in some circumstances, the process could be repeated continuously over the course of a day. But ducking stools were expensive and required skilled carpenters to construct. So, during the witch crazes, ducking was often inflicted without the chair. The accused witch’s right thumb was bound to her left toe. A rope was attached to her waist and she was thrown into a river or deep pond. Whatever method was used, if the accused woman floated, it was deemed that she was in league with the devil, rejecting the baptismal water. If she sank, she was innocent. In medieval and early modern Europe, few people could swim. In proving their innocence, accused women often drowned. We do not do that now. If someone is accused of a crime, the accused person does not have to prove anything. The accuser must make the case. This concept, which we know now as ‘the presumption of innocence’, arose in only two civilisations—Rome and England. Despite attempts to prove the English legal system was enforced by Romans, we now know the concept evolved independently in both societies. If you are French, you have the presumption of innocence thanks to the Romans. If you are Australian or American, you have the presumption of innocence thanks to the English. And, because England has a remarkably complete and detailed historical record, we can identify the crucial document in which the concept was spelled out with clarity for the first time. That document is the Magna Carta. 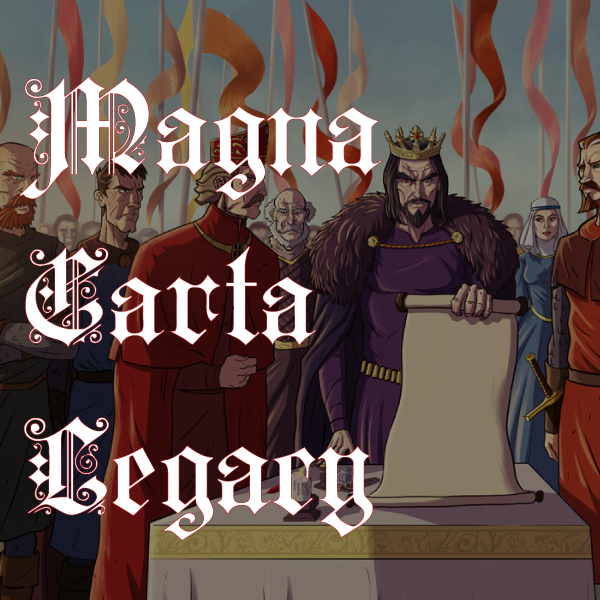 This year the Magna Carta has its 800th anniversary. It is appropriate to speak in this place of its central importance to our liberal democratic heritage. I spend a lot of my time in this place talking about liberty, and I have berated both the government and the opposition for their failure to uphold it. Liberty, to a classical liberal, is absolutely fundamental. The attacks on liberty in the national security legislation take two forms. First, they constrain freedom of speech—I have spoken and written about this a lot—particularly when it comes to freedom of the press. Second, they destroy liberty by undermining the rule of law. In civilised societies, liberty dies without law. That is why classical liberals often spoke historically of an ‘ordered liberty’. The order in that phrase applies not to the infamous woman who appears at elections, ‘Laura Norder’, but to the idea that no-one is above the law—not the king, not his minister’s, not the Church. In England in 1215, that meant—to use a phrase common in the 13th century—’the King is given for the sake of the Kingdom, and not the Kingdom for the sake of the King’. Here and now, it means that the people who make the laws are also subject to those laws. There is no special ‘parliamentary pass’. And at the heart of the rule of law lies the presumption of innocence. For most of human history we have believed that ‘where there is smoke there is fire’. When we accused people of wrongdoing, we considered our accusations true because we thought the accused ‘had it coming to them’. That meant accused persons had to prove they were innocent—a presumption of guilt was in force. Many people do not appreciate, for example, that the conversation between Abraham and God in Genesis 18 concerning the fate of Sodom and Gomorrah could only have arisen in a society where behind every accusation was a presumption of guilt. Sodom and Gomorrah were to be destroyed for their wickedness—wickedness taken as a given. Abraham pleaded for ‘the Cities of the Plain’ on the basis that he could prove a number of righteous people lived there. God started with 50. Abraham talked Him down to 10. But Abraham had to prove they were righteous. He failed. The cities ‘went up in fire and brimstone’. If the world of Ancient Israel is now considered unrepresentative of Western Civilisation, then the world of Classical Athens is surely not. Yet Socrates’ Apologia—his speech to the jury at trial—reads oddly because Athens, too, was a ‘presumption of guilt’ society: Men of Athens, do not interrupt, but hear me; there was an agreement between us that you should hear me out. And I think that what I am going to say will do you good: for I have something more to say, at which you may be inclined to cry out; but I beg that you will not do this. Socrates, too, had to prove his innocence. It is from Roman and English lawyers and politicians that one first sees ringing declarations such as ‘I would rather 10 guilty persons should escape than one innocent should suffer’ or ‘A person ought not to be condemned on suspicion, for it is preferable that the crime of a guilty man should go unpunished than an innocent man be condemned’. Both of these quotations are Roman, and we do not know who said them first. Worse, the ideal they enshrined disappeared for hundreds of years. By contrast, clauses 28, 29, and 30 of the Magna Carta can not only be dated with precision; they still form part of our law—although, in light of our national security legislation since 9/11, I sometimes wonder whether that is still true in Australia. Clause 28 provides: In future no official shall place a man on trial upon his own unsupported statement, without producing credible witnesses to the truth of it. Clause 29 provides: No free man shall be seized or imprisoned, or stripped of his standing in any other way, nor will we proceed with force against him, or send others to do so, except by the lawful judgement of his equals or by the law of the land. Clause 30 provides: To no one will we sell, to no one deny or delay right or justice. Of course, Magna Carta had antecedents in English thought. As early as the ninth century we find the Anglo Saxon King Alfred stating, ‘In cases of doubt, one should save rather than condemn.’ However, the presumption of innocence did not appear with real vigour until Magna Carta, and once it appeared, it took root. It is routine—and fair—to point out that Magna Carta was wrung from a weakened King John by rebellious barons. It is true that in 1215 it applied to a narrow caste of English society: the rights it contains were granted as a series of concessions to baronial families and the Church, with some benefits for merchants, townsmen and the lesser aristocracy. Serfs and married women got nothing. It is also true that John repudiated it within months, with backing from Pope Innocent III. Nevertheless, the barons’ particular grievances against the King were gradually extended to benefit an ever-larger proportion of the population. The greatest English jurist, Edward Coke, interpreted the Magna Carta’s clauses as they were written, which was in general terms. Not only did the presumption of innocence come to be the property of the whole English people but the words ‘free man’, present in clause 29, provided the foundation for Lord Mansfield’s assertion in 1772 that: … England was too pure an air for a slave to breathe in. Why is the presumption of innocence so remarkable? Because it represents a decisive rejection of the just-world fallacy. The just-world fallacy holds that a person’s actions always result in fair and fit consequences, and it exists because people are uncomfortable accepting that suffering is random and that sometimes bad things happen for no reason at all. It is common to believe people must have done something to deserve what they get, including being accused of a crime. The argument goes: if bad things only happen to those who deserve them and I am a good person, then I can be sure nothing bad will ever happen to me. It is equivalent to: if you have done nothing wrong, you have got nothing to fear. We hear that all too often. We do not live in a just world. We ought not to ascribe characteristics to people before applying justice to them. When we do ascribe bad things to people before rendering justice, we create a situation where people can be subject to raids, police harassment, inhuman treatment and injustice, purely for what they are.